Raza Faculty and Staff Association | ¡Sí se puede! New RFSA Board Members Elected at Annual Membership Meeting and Holiday Celebration on December 13. Meet the RFSA Leadership. 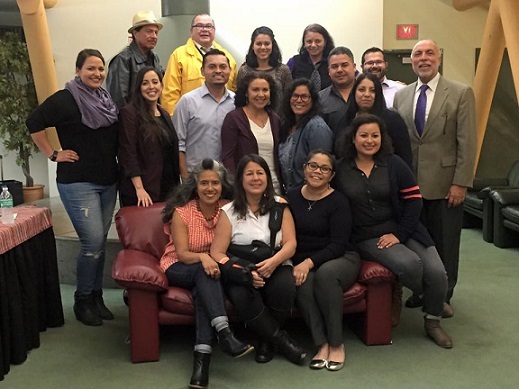 The RFSA Board approved a funding request for co-sponsoring an SF State/RFSA table at the Chicana Latina Foundation's annual scholarship dinner on October 5th at the Westin St. Francis Hotel. Two Latinx students from SF State are receiving scholarship awards at the event. The RFSA Board approved funding requests for co-sponsoring the 4th Annual Beyond Borders Graduation Reception on May 20, 2018, and the Act of Resistance! LTNX Recognition Ceremony on May 23, 2018. Congratulations to our new SF State graduates! Human Resources and Strategic Marketing and Communications agreed to update the ethnic categories for faculty in the SF State Facts by changing "Mexican American" to "Latino" in the 2018-2019 print brochure. The 2017-2018 online version has been revised.